Learning to embrace the shift from competition to collaboration. When I began to work with people exploring the worlds of health, wellness and fitness, I opened myself up to an infinite spectrum of new lessons. This mindset has empowered me to adopt new ways to feel more vibrant (yes, it does start from the inside out). It also teaches me how to transform lessons into positive daily habits. The essence of this practice has its roots in collaboration—where the parts make the whole. This is how community works and business is the same. We do it together. I have found that approaching my business with this outlook has dramatically changed the way my clients see themselves relative to their mission. Together we are crafting a conscious medium to share with our communities for healthier lifestyles. 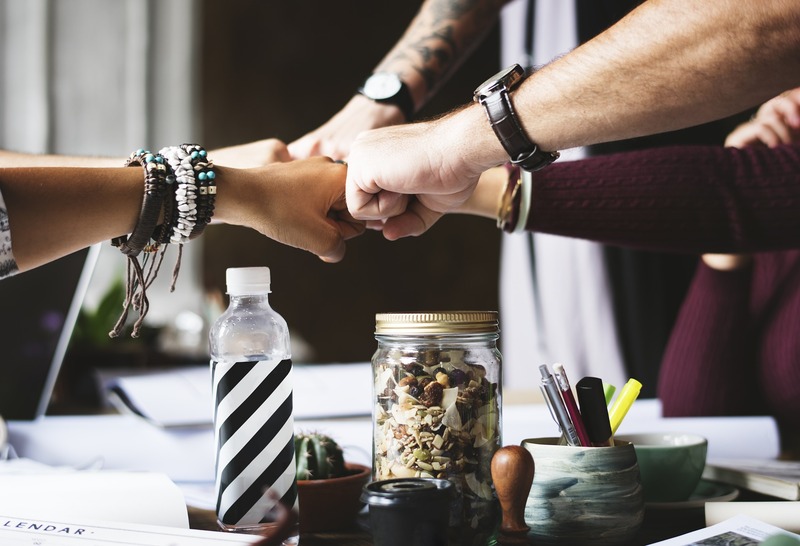 They say that “teamwork makes the dream work.” This mentality has the potential to reshape the way business is done by bringing back the human-to-human element. While I can’t claim to have come up with that saying, I can attest to its success. It is the portal to conscious change: the opportunity to do and see things differently by returning to our tribe-based ancestry. On the health front, many people need help to improve their lifestyle. The only way to achieve this is by collaborating with those who are already in the know. I am confident this shift has already begun. It is time to learn how to work together instead of against one another. Everyone is here to play a role in shaping the human experience and it is our duty to support one another. We rise as a whole when we lift one another. Having your eyes wide open is the first step to uncovering who you truly are and knowing that you are ultimately connected to something deeper. Sometimes I refer to this as the “creative collective cloud.” Have you ever noticed that when you awakened, people and opportunities align? Being aware fosters connectivity with yourself and others. You have no competition because no one is you. Discovering how to embrace yourself takes time and it happens when you have aligned with your core values. This is your journey and these values have come from the experiences that have shaped your story—something that is authentically yours. Learning how to share your story with others creates your connection to community. Learn to relate to others, but don’t try and appeal to everyone. You will grow in symbiosis with those who resonate with you. Turning your attention inward and honouring what you have accomplished helps you to live in the present moment. Attitude is gratitude. As well, expansion and greatness flourish when you are grateful, making you more able to appreciate the contribution of others within your community. Each of us has an innate desire to be our own best self and to share with each other. In a society that is riddled with competition, our challenge is to learn to collaborate to create overall wellbeing. Shauna Ireland, intuitive business coach and co-founder of Ireland+Hall Communications believes in a “wholistic” approach to business and life, led by her mantra “Align+Shine.” This new mama is passionate about writing, travelling, energy healing and yoga. She is ultimately driven by love. This article originally appeared in OptiMYz 906. Halifax Stanfield International Airport employees, friends and family participate in the Breast Cancer FUNdraiser Flash Mob.